The REI Co-op Flash Insulated Air Sleeping Pad is an excellent lightweight backpacking sleeping pad. It’s comfortable, quiet and easy to inflate. We’re big fans. 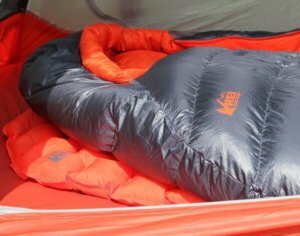 To give us a better look at the REI Co-op Flash Insulated Air Sleeping Pad, REI provided us with a review unit. Here is what we learned. REI has been making its own branded gear for years, but recently REI has been delivering winners left and right. The Flash is definitely a winner. First, it’s lightweight. The Regular is 20” wide by 72” long and 2” thick — and it weighs in at just under a pound. 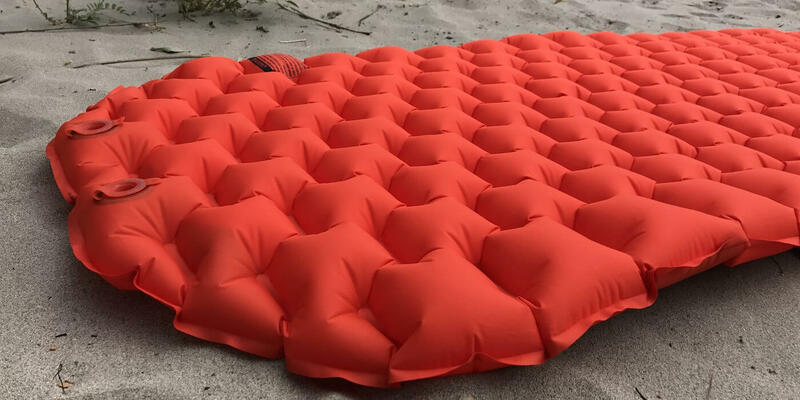 You can find even lighter ultralight sleeping pads out there, but the fabrics get perilously thin if you are the kind of backpacker who is rough on your gear. With the Flash, REI errors toward a durable, simple and stable design — which we appreciate. The REI Co-op Flash Insulated Air Sleeping Pad boasts a great blend of every key feature — it’s durable, lightweight, has plenty of cushion, is insulated and priced right. 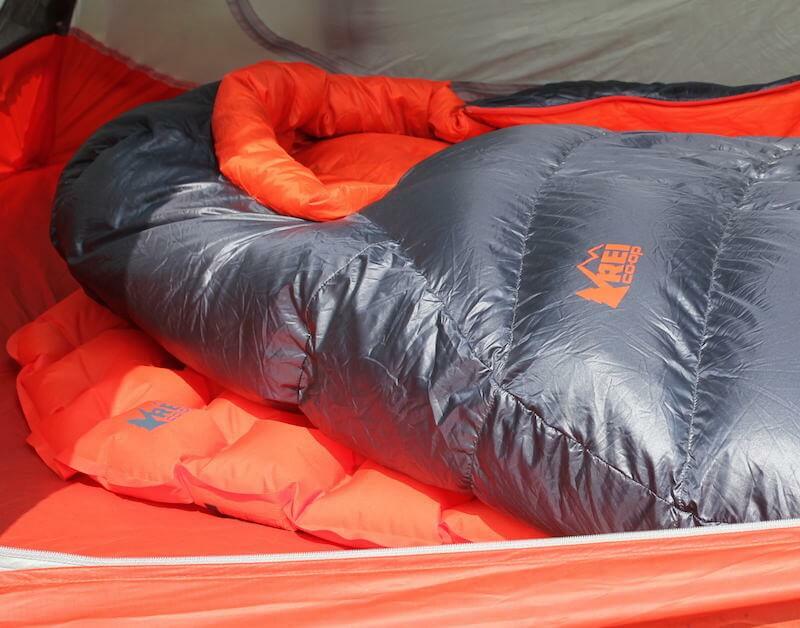 The REI Co-op Flash Insulated Air Sleeping Pad uses a simple-but-effective dual valve design. The built-in insulation is what makes this pad a great buy. REI includes an insulating layer inside the baffles — you can see it if you hold the pad up to the sun and look from the shadow side. In addition, REI adds a reflective mylar layer to help reflect your body heat back to you. It all results in a respectable R-value of 3.7. Again, you can find air pads with higher levels of insulation, but they usually cost quite a bit more. In our minds, if REI were looking to create a pad that is perfect for 80 percent of the people backpacking 80 percent of the time, the REI Co-op Flash Insulated Air Sleeping Pad is that pad. The Long Wide version of the REI Flash Insulated Air Sleeping Pad inflates with about 12 breaths. Obviously your vigor and lung size play a role here, but to put this in perspective, it’s not particularly onerous. One similarly sized pad with a similar sort of cushion pattern recently took 22 breaths to fill. 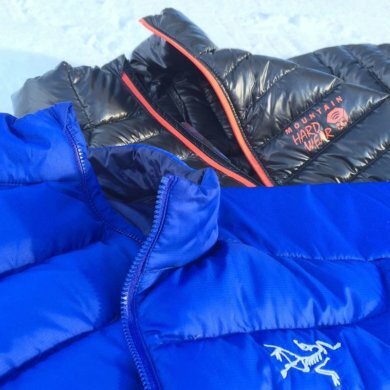 So REI’s claim that the design results in faster inflation is not so far off the mark. Insulated air sleeping pads help insulate you from cold ground, which in turn can make your sleeping bags feel warmer and more effective. If you want to inflate your air pad with a pump, there are a couple of options that work. The Exped Schnozzel Pumpbag was made for Exped sleeping pads, but users report that the bag also works great for the REI Flash. REI’s own REI Co-op Stratus Sleeping Pad Air Pump also works with the valves in the Flash pad. There is one advantage to using an ultralight pump — you won’t be adding moisture from your own breath into the pad itself. Interestingly, REI created two valves — one for filling and one for releasing air. The valve for deflation works super fast, which is cool but not a game changer. 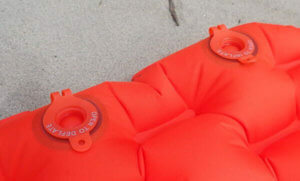 It’s just another feature that shows the thought REI put into the Flash Insulated Air Sleeping Pad. One of the features we like most about the Flash pad is its exterior fabric — it’s a lightweight 30-denier ripstop polyester, and as REI says, it delivers a good balance between low weight and durability. It has a bit of texture, and it seems to be quieter than much of the competition while also being relatively non-slippery when you’re rolling around on it with your sleeping bag. What about side sleepers? Any hip issues? The pad seems to do a good job of supporting side sleepers. As many side sleepers already know, side sleepers might want to inflate their pads with a bit more air pressure than back or stomach sleepers in order to get an optimal experience. Does it float? Of course. As it turns out, this has been a popular pad for REI — the company sold so many it had the pad on backorder for a good chunk of the summer selling season. Obviously that’s a great problem to have. One of the reasons we think the Flash Insulated Air Sleeping Pad has been resonating is the price-to-value ratio — ranging from about $100-120, the Flash offers a good value that’s very competitive compared to other quality insulated air sleeping pads. All-in-all, the REI Co-op Flash Insulated Air Sleeping Pad is an excellent new entry to the insulated air pad space. It has a solid design, great blend of weight-to-durability, and comes in at a reasonable price. We’re big fans of the bold color, too. Highly recommended.